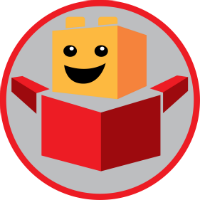 Brick Pals is an independent fan-made website created in October 2018 by two LEGO enthusiasts and pals; Mark and James. Christine also helps out with the running of the site. The website will cover the latest news, announcements (including breaking news from events such as the New York Toy Fair), rumours and reviews. If images of a set or minifigure have been unofficially leaked, we will not post about it. We normally source our announcements from community rumours, early reveals, LEGO teasers, previous patterns, events and more. Brick Pals’ awesome contributors team will detail building tips, ideas, reviews, announcements and insights into the world of LEGO for others to enjoy. Feel free to comment on articles with your opinions! If you would like someone from the Brick Pals team to review or publicise your product or service, please use the contact us page. Do you run a blog, YouTube or something else? We’re are always open to collaborations, just let us know. Want to join our growing team of LEGO enthusiasts? While we only publish high quality articles, we’re more than happy to hear from anyone who wants to join the team. If selected, you may just get your very own Brick Pals custom minifigure graphic designed. James’ passion for LEGO started at an early age. With an eye for detail, James gravitated towards the Collectible Minifigure Series. His favourite collection is Series 18 due to the cool throwbacks (especially the set 600 Classic Police Officer) and all-round celebratory birthday party-theme. James’ goal is to share as many set & CMF reviews as possible, especially those which contain unique minifigs. Mark’s passion for LEGO was kick-started after receiving Christmas sets at an early age. Naturally, he has always enjoyed the seasonal sets and advent calendars. His favourite was a fully fledged Winter Village, featuring a post office, toy shop, holiday train, snow globe, gingerbread house, amusement rides, ski slopes and more unique details! A keen website designer and intrigue of everything new, Mark aims to share the latest announcements and seasonal set reviews. JB Bricks has been a LEGO fan for as long as he can remember! He now focuses mainly on LEGO Star Wars sets, however he does also have a few sets from the Superhero, Harry Potter and Ninjago lines! He posts daily on his Instagram @JB_Bricks which features LEGO Photography, Reviews and even the occasional MOC! VaderFan2187 has been a LEGO fan ever since he played with LEGO as a child. He started his own blog in February of 2017, and was also a contributor to Ninja Brick since March of 2018. His favorite themes are Star Wars and Superheroes, and he enjoys writing about minifigures and set reviews. Andreia loves to write about LEGO. What could be better? Not much! Her favourites are Technic sets and Creator sets — she enjoys the extra challenge. As a child, Anonknee Muss (Anon for short) was hooked to Lego when he received his first sets: 8643 and 8644. As soon as he built the set, he took part and built his own creation, it was always the versatility aspect of Lego that appealed to Anon the most. It was ironic that he kept collecting “Tiny Turbos” (and eventually bought a speed champions set) especially since he doesn’t know particularly much about cars! Just a Californian TFOL who likes film-based themes. Jack’s been a Lego fan forever, and has too many Star Wars sets to count! These days, he’s also interested in Marvel, DC and wishes Lego would make Doctor Who and Star Trek sets! He enjoys keeping up with and writing about the latest Lego news and posts regularly on his Instagram and Flickr. HaphazardPanda first joined the LEGO Community in 2014, under the username ‘RandomPanda_0611’, when he created a Flickr account and started posting purist minfigure builds and MOCs on the site. Over 4 years later, he has 1.7k followers and is still posting. He runs the Marvel Knights Story Group on the site, as well as @LegoPolls on Twitter. You can follow him at @Haphazard_Panda on Instagram and Twitter, or HaphazardPanda on Flickr. In the time before time, a mysterious young man washed ashore on a golden beach, and a new legend was born. The legend OF THE BRICKMASTER (echo that last word). Armed with the skills of a master builder and unlimited access to the internet, the Brickmaster gained Brick enlightenment, learning as much as possible about LEGO’s. He now resides in a cool house on top of a mountain where he offers his wisdom to anyone who brings something to offer him. Particularly a new LEGO brick or Kanohi mask.